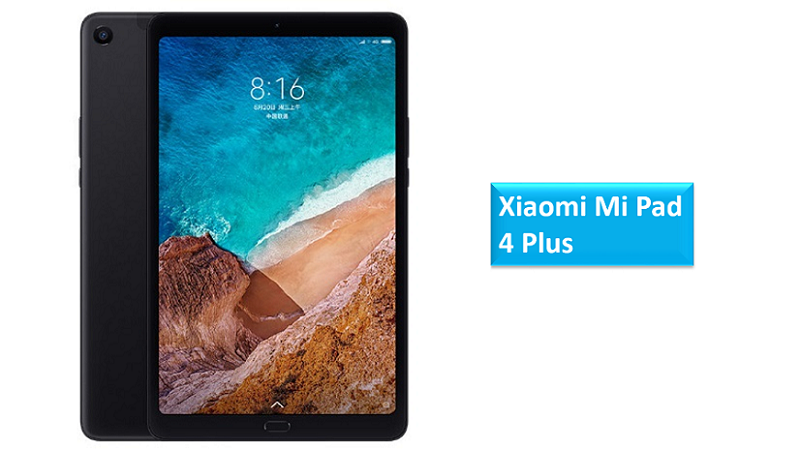 Today, Xiaomi announced the larger version of Mi Pad 4 and named it as Mi Pad 4 Plus. It sports a 10.1-inch WUXGA screen with 16:10 aspect ratio. It is powered by Snapdragon 660 with 4GB of RAM and runs on Android 8.1 (Oreo) with MIUI. It comes with a fingerprint sensor on the front as well as AI face unlock feature. It has a metal body and comes only in LTE version. It has a 13 MP rear camera and a 5 MP front camera and packs a 8620mAh battery. The tablet sports a 10.1-inch WUXGA display with 16:10 aspect ratio, 1000:1 contrast ratio, 224 PPI with a resolution of 1920 x 1200 pixels. It is powered by Octa-Core Snapdragon 660 14nm Mobile Platform (Quad 2.2GHz Kryo 260 + Quad 1.8GHz Kryo 260 CPUs) with Adreno 512 GPU and runs on Android 8.1 (Oreo) with MIUI. The device comes with 4GB (LPDDR4x) RAM with 64GB / 128GB (eMMC 5.1) internal storage. The storage memory can be expanded up to 256GB using microSD card. It has 13MP rear camera with f/2.0 aperture, OV13855 sensor and 5MP front-facing camera with f/2.0 aperture, Samsung S5K5E8 sensor. The mobile supports 4G LTE, WiFi 802.11 ac (2.4GHz + 5GHz) 2×2 MIMO , Bluetooth 5, GPS + GLONASS, USB Type-C. It has Fingerprint sensor on the front and comes with AI face unlock feature. The tablet packs 8620mAh battery. The dimension of Xiaomi Mi Pad 4 Plus is 245.6 x 149.08 x 7.99mm and weight 485g. 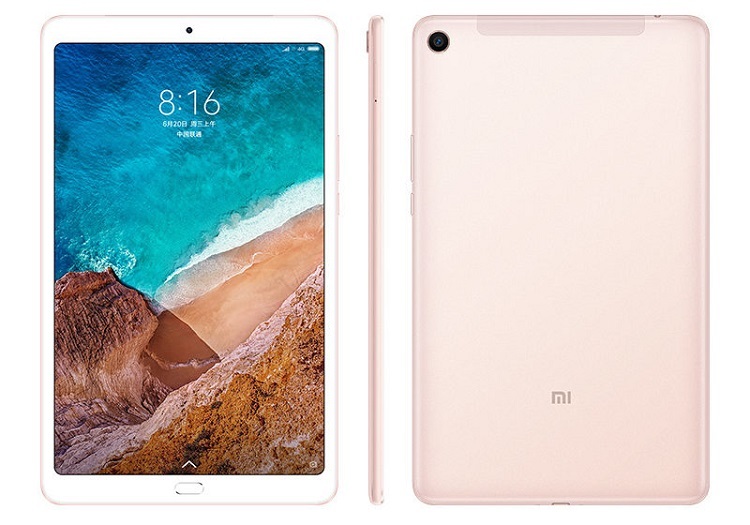 The Xiaomi Mi Pad 4 Plus is priced at 1899 yuan (US$ 275 / Rs. 19,280 approx.) for the 64GB version it costs costs 2099 yuan (US$ 304 / Rs. 21,310 approx.) for the 128GB version. It comes and Black and Golden colors and will go on sale in China starting August 16th on Mi.com. Share your views with us on Xiaomi Mi Pad 4 Plus in the comment section below.